17 notices were handed out Monday impacting the patrol division and the jail. With 58 employees right now, Sheriff Dave Daniel says the loss of 17 employees will take away the entire patrol division. He says the state requires certain mandated services like search and rescue and a corrections division leaving the patrol division as the first to be cut. 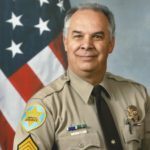 After losing employees, the sheriff’s department plans to have online reporting instead for citizens to report crimes. Without any money from the federal government Sheriff Dave Daniel says the corrections levy would be necessary to prevent the layoffs. “Should the levy pass… the corrections levy pass… we’ll actually be looking to hire people. It’ll increase our capacity in the jail, therefore I’ll have to increase some deputies. It’ll also increase our patrol services,” Sheriff Dave Daniel said. Sheriff Dave Daniel says he isn’t trying to scare the public, but he wants to inform the citizens of the reality. As of right now, inmate capacity is also planning to be reduced from 130 down to 95, but contractual positions with the State Marine Board, Bureau of Land Management and a seasonal United States Forest Service Deputy will remain. The 17 employees are set to be laid off next month on may 31st.